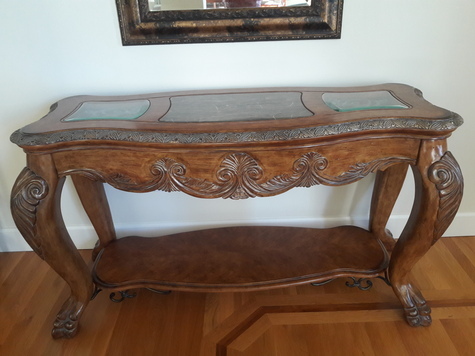 Beautiful Accent Table in very good condition. Table has glass insets on either side of marble? inlay, claw feet.